ARPOLA is dedicated to bringing landlords resources, education, and exclusive member benefits. We know firsthand the challenges that come with owning rental properties, which is why we have teamed up with National companies to bring you discounts and offers that will help you run a successful business. ARPOLA has teamed up with JCPenney Commercial to give Real Estate Investors one more way to save money and grow a successful business. As a member of ARPOLA, you can save in-store and online at on home staging furnishings, window treatments, power tools, uniforms and more with our member discount program card. With this incredible member discount, your business budget will stretch farther as you rehab, update and/or stage your properties. If you want to maximize your rental profit and decrease vacancy time between tenants or sell your rehabbed property for top dollar, staging the property is a great strategy. Creating a space that feels clean and comfortable helps future tenants or buyers feel as though the space is one they can see themselves living in. Putting a little bit of extra time and money into the staging process can be the key between whether they pick your property or another one on their list. JCPenney offers a variety of beautiful home furnishings that will allow you to implement this strategy for a fraction of the price you would pay elsewhere. Plus, with your ARPOLA Membership, you will be able to save an addition 30-60% on all eligible online and in-store orders, making the profit margins on your properties even greater. RentProtect is excited about our new industry partner affiliation with ARPOLA. For the past 12 years Investigative Screening has focused on taking an investigative look into applicant’s past. In short, rather than wrongly relying on databases that often give inadequate or false responses, we perform a comprehensive nationwide in-depth search using Private Investigators than. Our standard fee is $35 per applicant. We have offered ARPOLA members a discounted rate of $28 per applicant. How can we setup our account to ensure we get ARPOLA pricing? Since our pricing is not available to anyone, you can access our special setup form through ARPOLA’s member area. See why thousands of clients trust Investigative Screening and Consulting. Become an ARPOLA member and start using our services today! Succeeding in business is about smart relationships. That’s why we created the Office Depot OfficeMax ARPOLA Program, a program which our members are entitled to! Participating in the program provides you with great savings, award winning customer service, and the ability to shop the way you like (online, by phone, or in-store). The Office Depot OfficeMax ARPOLA program is a smart way of taking care of your business. A portion of the savings you receive when you purchase your business supplies from Office Depot OfficeMax is given back to the association to help fund the activities that support and benefit you as a member. Log in to ARPOLA’s member area and print out your Store Purchasing Card to use in any Office Depot or Office Max retail store. Our Copy & Print desk will laminate this for you FREE. This card is the only thing you need to receive the discounts in-store. 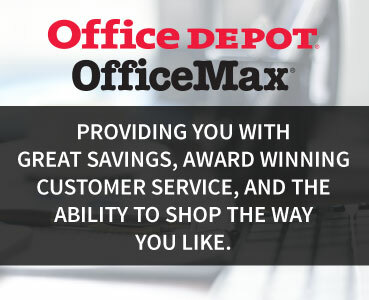 Go to ARPOLA’s member benefits page and click on the Office Depot OfficeMax Customized Online Portal and shop online for delivery of your supplies. As a rental property owner or manager we know you have unique insurance needs. ARPOLA has found a solution! It took us 18 months to create this program with the benefits and features that we know you want! You will be amazed by the coverage and blown away by the price. We have members who have qualified for unbelievable savings. One member, who owns 308 houses saved over $30,000 in annual premiums. Another member with a single house saved $150. In each case they added coverage they didn’t have before like automatic theft coverage when the property is vacant. Each member’s needs are unique, call or email today to see how you will benefit. All of this was possible because of ARPOLA’s large and growing membership flexing its exceptional buying power and demanding specific coverages that rental property owners need. Don’t miss out on this exclusive benefit. Help us expand the insurance program and other membership benefits by participating! Save time and money through this can’t be beat membership benefit! Reviewed your coverage lately? Log-In to the Member’s Area to request your quote. Note: Information on coverage is available to all and we encourage you to find out about the special coverage offered. Quotes are available to ARPOLA members only due to the exclusive nature of the program. Membership dues are fully refundable in the first 30 days.